Book Hook is a storage system for books and magazines. 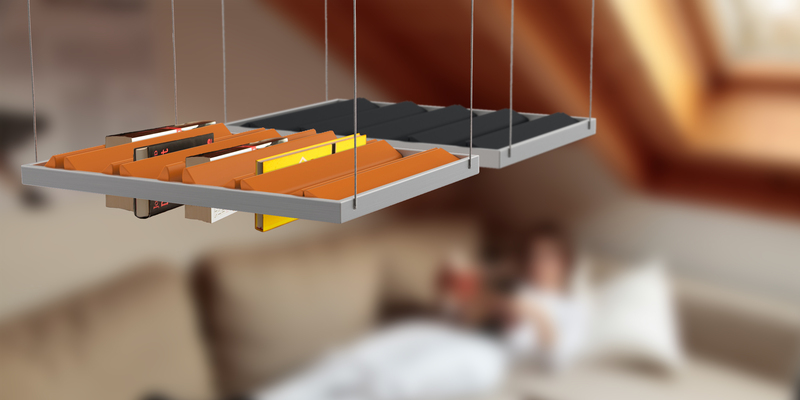 Hanging from the ceiling, it enables a more efficient use of space. 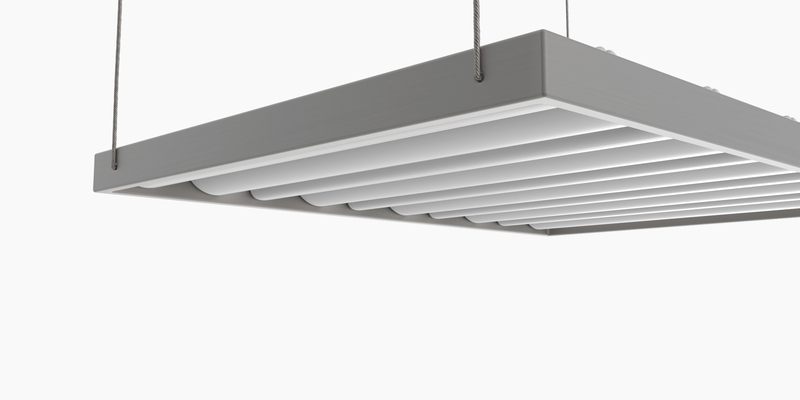 It is attached to the ceiling with steel cables so that it can be installed within any form of ceiling. 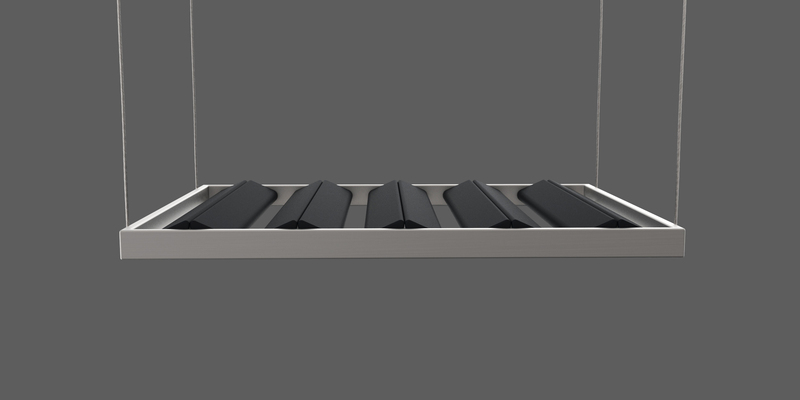 Through a clamping mechanism, inspired by tile carrying methods, the books are held by their own weight. 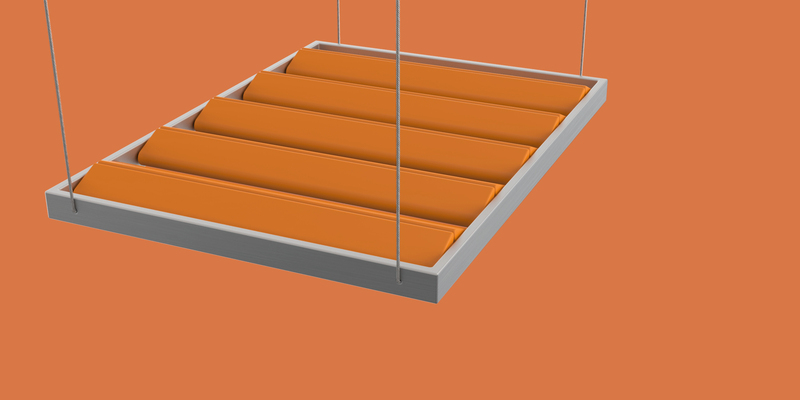 This mechanism provides an easy use from any position and guarantees the safety of the books. Living in urban megacities like London, New York or Shanghai, space is very valuable and expensive. Especially for students and young professionals it is difficult to accommodate all their belongings within a small living space. Taking a look at those apartments, you will notice, despite the digital age, there are still lots of books being stacked on the floors or stuffed underneath the bed, occupying a lot of space. 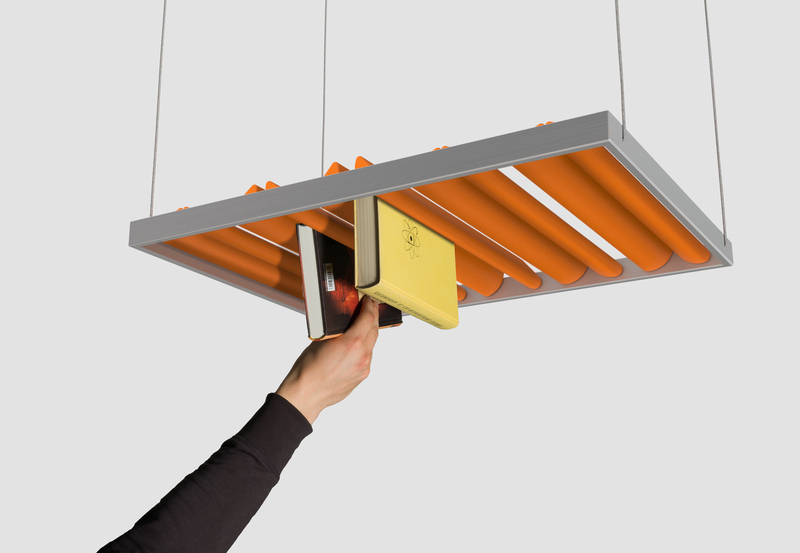 Book Hook tackles this problem with turning the typical way of storing books upside down.